The fully automatic transportation of bulk material samples to the laboratory is undertaken by our pneumatic tube systems designed and produced individually for your physical circumstances. The sample material delivered from the samplingsystem is automatically filled into a carrier and subsequently transported to the required position by a tube system that may well be several hundred metres long. There, the carrier is automatically opened, and the sample discharged. The sample thus obtained can be processed further in the automatic sample preparation plants likewise manufactured by us, such as the automatic crushing and pressing equipment for producing test specimens for XRF/XRD analysis. 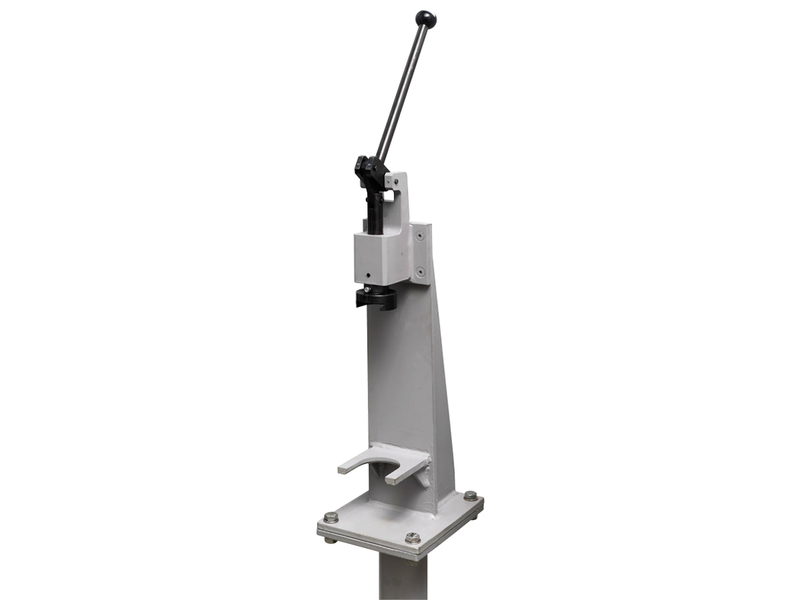 Carriers are manually inserted into or removed from the tube by the operator using the manual sending/receiving station. In the case of the manual sending station, the operator fills the carrier with sample material, seals it and places it into the station’s delivery device. Once the door has been manually locked, the carrier can be transported away. 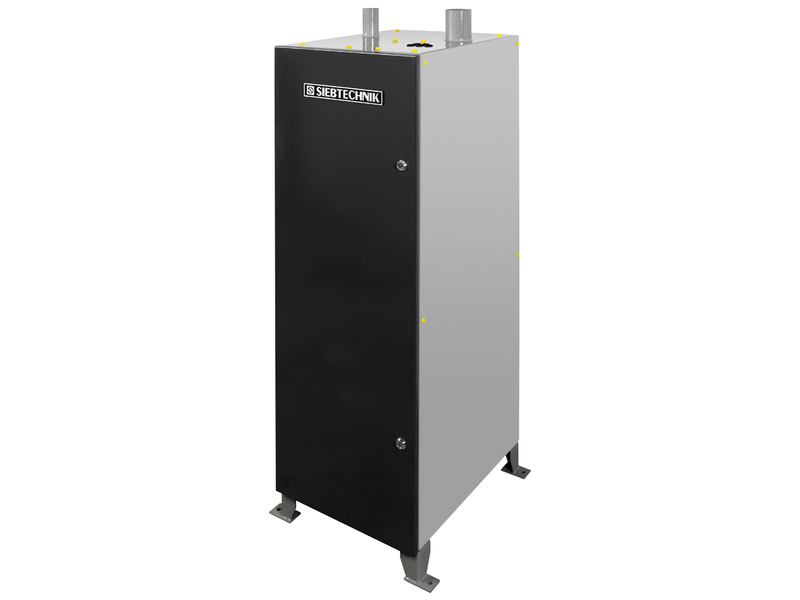 When used as a receiving station, once the carrier has been received, the door must be opened and the carrier removed. Opening the carrier is simplified by the optional manual cover remover. 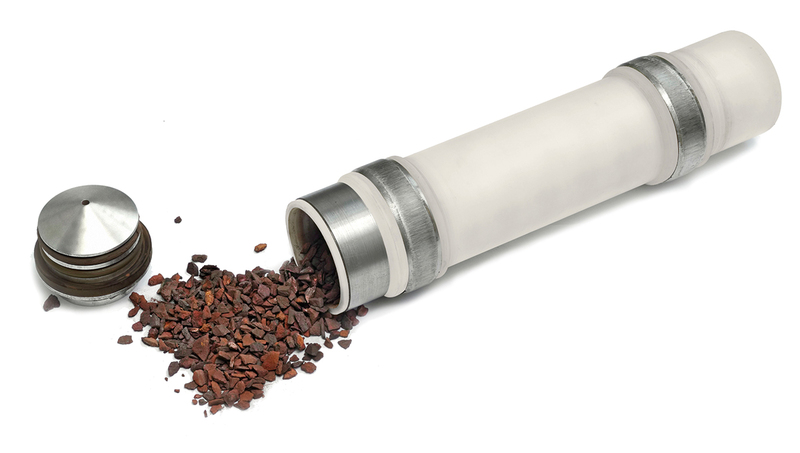 A bulk material sample can be filled into a carrier without any manual assistance through the fully automatic sending station, and brought into the tube of the pneumatic tube system. To this end, the empty carrier is automatically removed from the tube, opened and brought beneath a sample filler neck. After being filled with sample materials, the carrier is again sealed and brought into the tube. 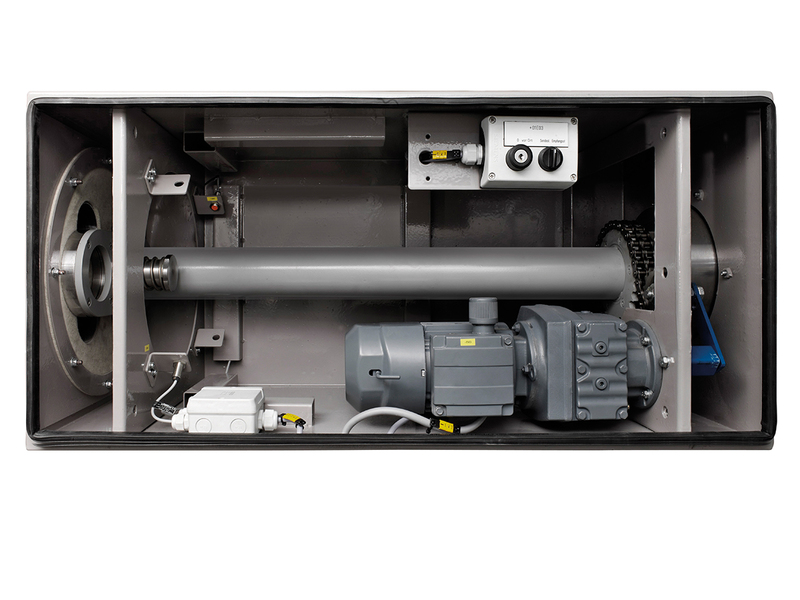 Reliable positioning of the carrier at the internal stations is carried out by geared motor and several pneumatic cylinders. 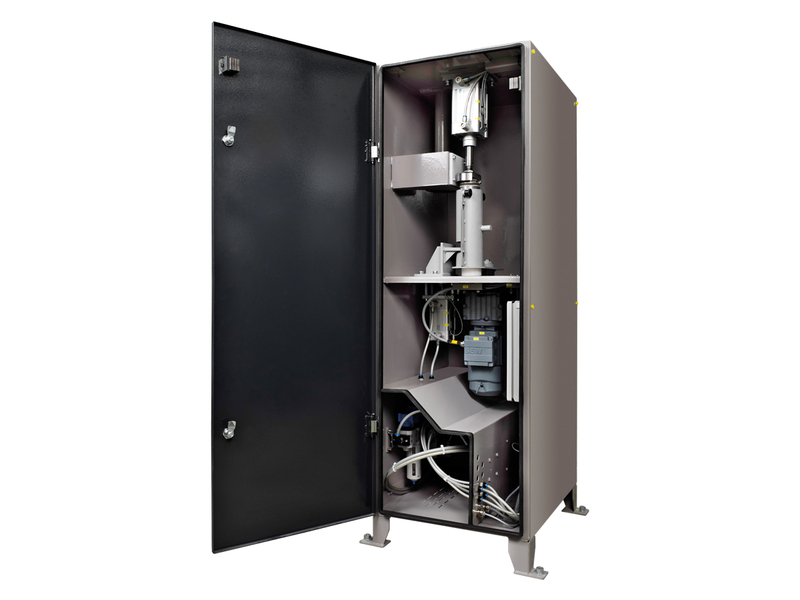 Mixers and dosing units can be connected upstream of the fully automatic sending station subject to the sampling situation. The mixer ensures that the partial samples removed from the sampler are thoroughly mixed. The dosing unit, in turn, separates a partial quantity from this sample to ensure an adequate amount for the following processes in the laboratory. The fully automatic receiving station takes up the carrier filled with sample material from the tube and empties it. 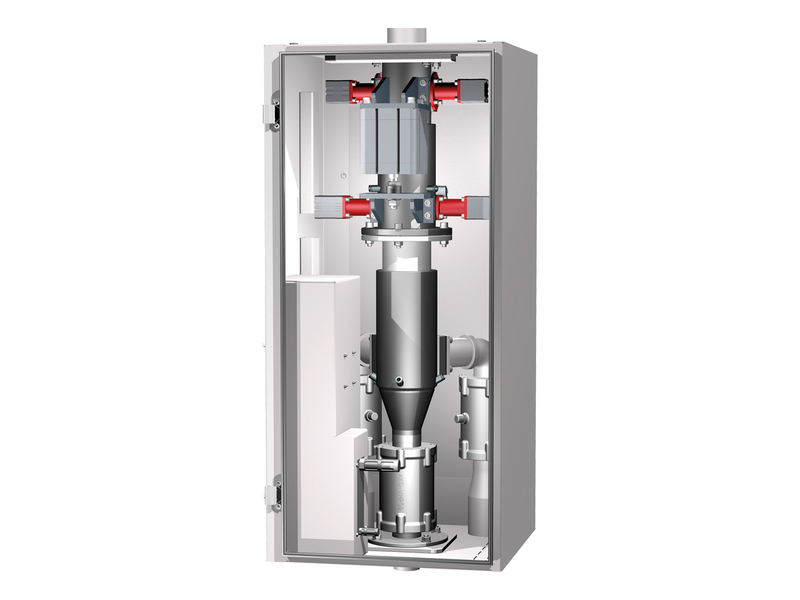 For this purpose, the carrier is opened upside down in the receiving station, so that the bulk material contained inside can freely into a collecting funnel. Once the carrier and collecting funnel are emptied, they are blown out by air jets. Subsequently, the carrier is closed again and is ready for discharge into the tube. 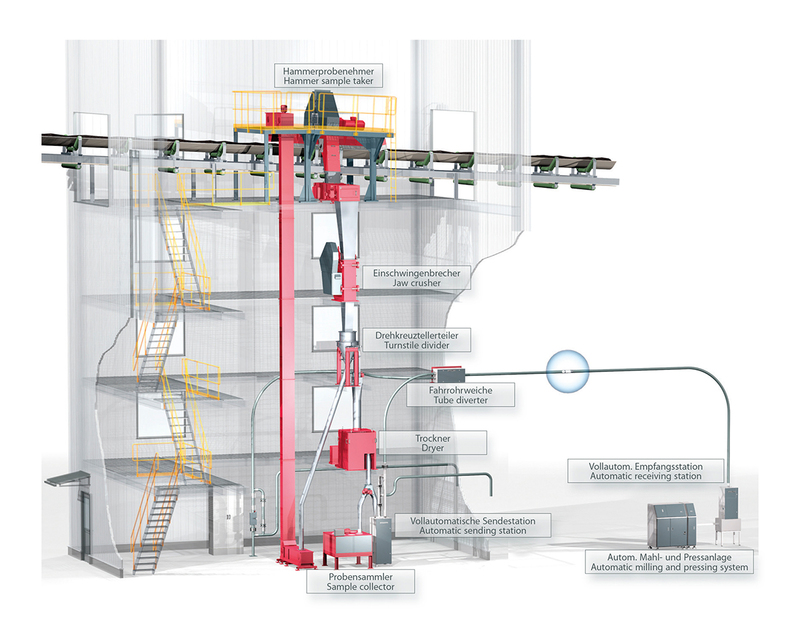 The fully-automated processes in the station are realised by pneumatic cylinders. 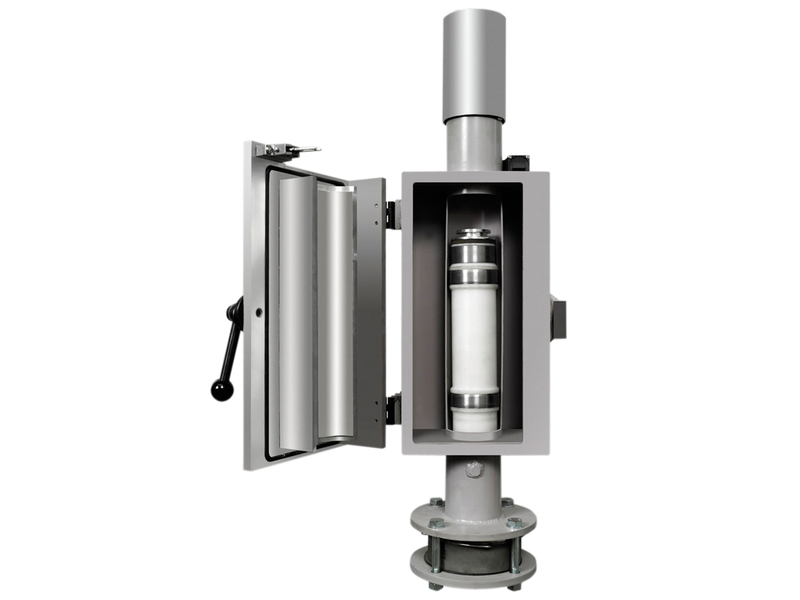 Installation of tube diverters is necessary in order to be able to connect, for example, several sending stations with a receiving station in the laboratory. 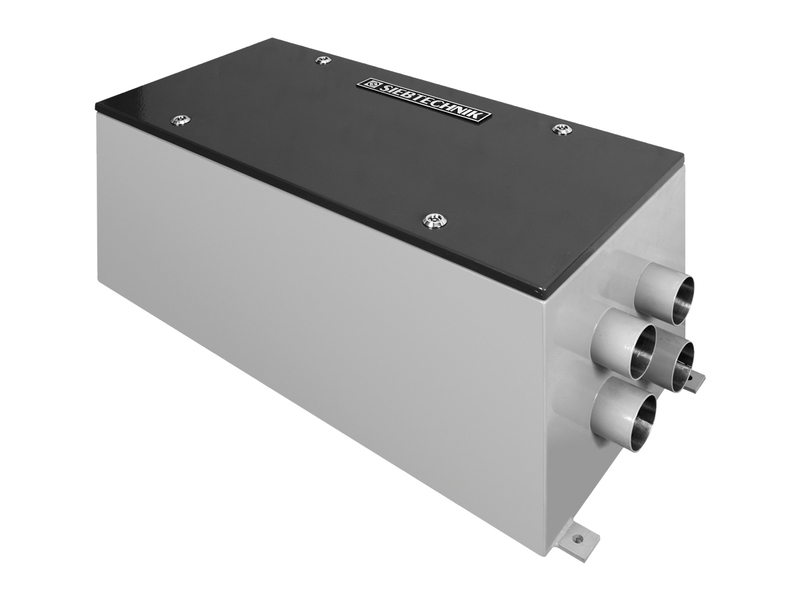 With the tube diverter, up to four sending stations can be connected with one receiving station. 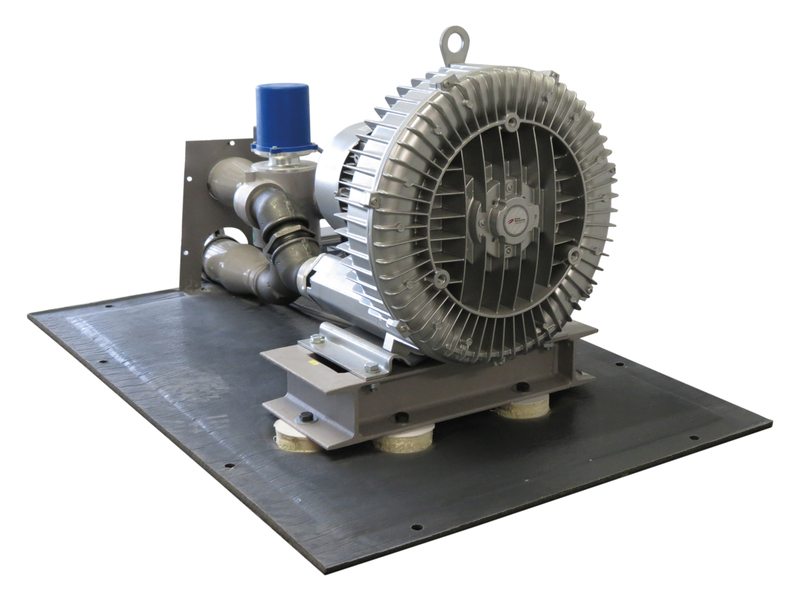 Positioning the preselected direction of travel is done by a geared motor. 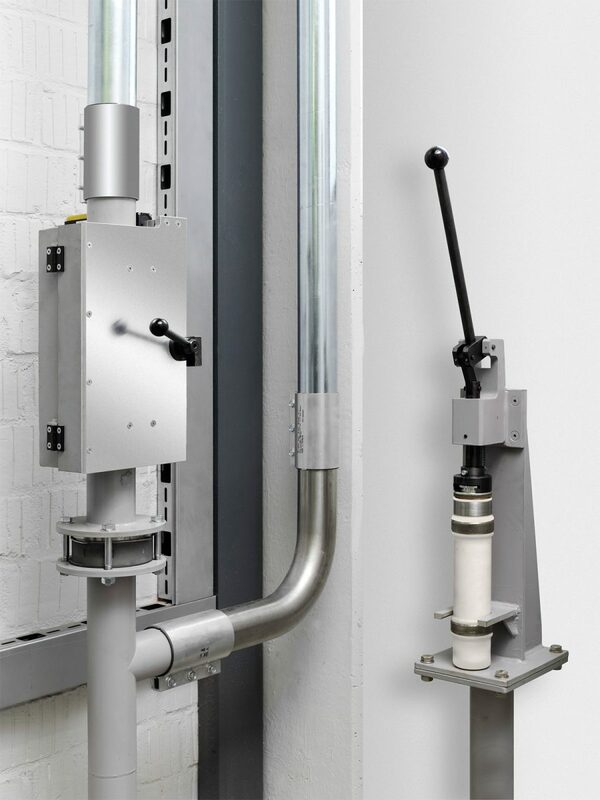 Over and above this, what is needed for safe and reliable operation of the pneumatic tube system is precision tubes, tube bends, tube connectors, tube contacts, carriers, side channel blowers and diverse attachment elements. Within the framework of project planning, all these components must be put together individually to make an entire plant. 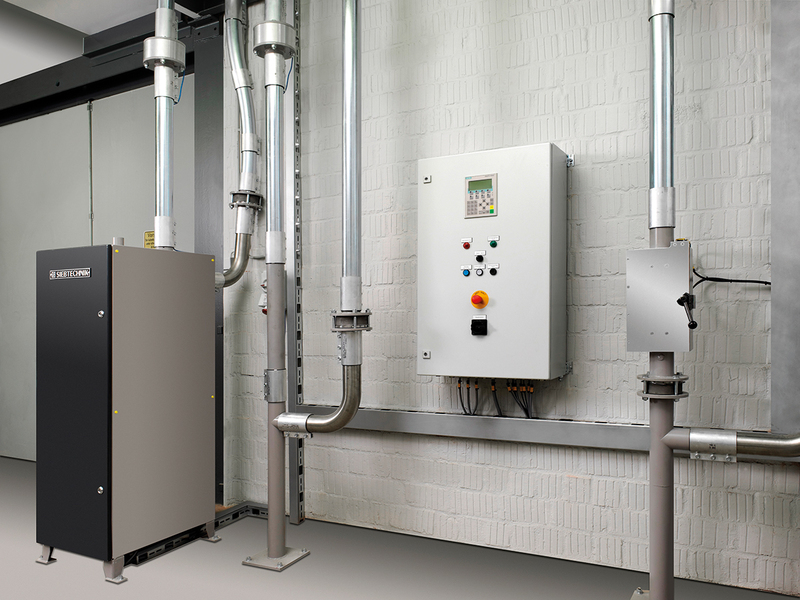 The controller of a pneumatic tube system is of special importance, since it is not only responsible for the individual machines and that their interaction is functioning correctly, but also has to take care of the sample documentation. The control system must therefore be adapted to actual operational needs on the basis of our standard procedures. This means that the documentation is customised to your requirements and that uninterrupted tracking is ensured even during disturbance.